Levelers. Desk can be disassembled for delivery. 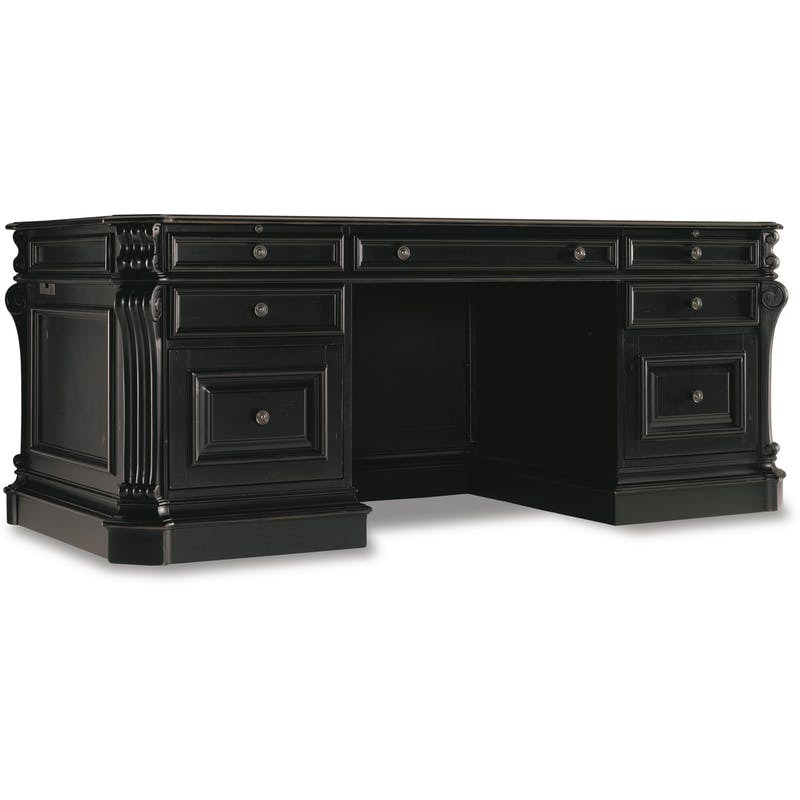 Click here to receive email quote for 76 inch Executive Desk with Leather Panels item.